Inversion tables can seem like weird contraptions that are just a quacks way of making money from poor suffering people. Sometimes pain can be so excruciating that we are willing to try just about anything. There was a lot of scientific research that went into the creation of the inversion table. So, what are the benefits of an inversion table, anyway? We’re going to answer that question now. If you suffer from chronic lower back pain, hanging upside down on an inversion table may be just the thing to help you alleviate that pain. One study showed a remarkable improvement for 47 people who used an inversion table at 60 degrees for 3 minutes after eight weeks. This is a safe and natural way to help take some of your back pain away. It is much better than dangerously addictive drugs or risky surgery. The possible reason that inversion tables help to relieve back pain is that it helps to decompress the spine. When you stand upright all day long, the weight of your upper body will press down on your needle, each vertebra having more pressure than the next. When you use an inversion table, you are reversing the effects of gravity on your spine for long enough to help undo the pain of that weight. This benefit is closely related to the first, but relieving pressure is related to much more than just the spine. All your other joints in your lower body will also be relieved of that pressure. Think about your knees and hip joints. People suffer from pain in those joints too. If you feel little aches and pains in your bones, using an inversion table might be for you. Over time, our bodies get stiff, and we can get bad posture, especially if we have a job that requires us to sit most of the day. Using an inversion table can help to increase your flexibility and realign the spine. Bad posture from a compressed spine can cause our muscle to tighten in our shoulders and neck, and this can cause tension headaches and overall stress. Using an inversion table can relieve this stress by reducing muscle tension and lengthening tight muscles connected to the spine. One study showed that muscle tension went down 35% in the first 10 seconds of being inverted by measuring the electrical impulse activity in these muscles. Some people suffer from a disease causing the discs in the lower back to be weak. This can cause severe back and sciatica pain. Most people with this disease end up going in for surgery to fix this. It is commonly considered the only option for relief. One study on 24 people waiting for back surgery showed that using an inversion table can help these people avert surgery. 13 of these 26 people underwent inversion therapy with physiotherapy while the other 11 used physiotherapy alone. Of those that were using inversion therapy, 76% no longer needed surgery. Those who did not, only 26% averted operation. By hanging upside down, you help your heart out. Gravity can make blood stay mostly around your lower body. Some people can suffer from a lack of blood flow to their hands, making them hard to keep warm. Using an inversion table makes it easier to get blood flow to your upper body, giving your extra brain oxygen. This can also help with brain function and creativity. This can also help to clean the lymphatic system. Bringing the blood back up to the upper body can help to clear out built up toxins from your cells. It can also help to bring pooled lymphatic fluid from your lower body back to the heart to recirculate throughout the body. This helps the bodies immune system, meaning you can more effectively combat sicknesses. 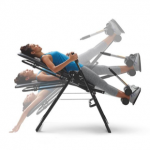 Now that you know what are the benefits of using an inversion table, are you ready to try one? 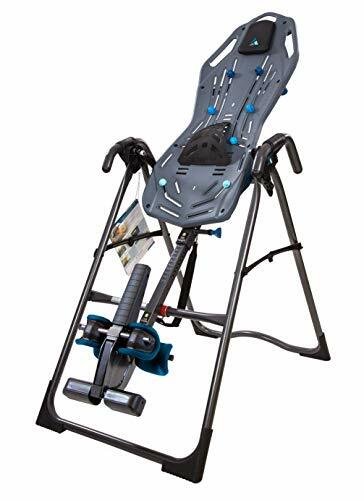 It should be known that if you are pregnant, have glaucoma, conjunctivitis, or a detached retina, suffer from high blood pressure, have recently had a stroke or heart attack or undergone back surgery, it is not advised to use an inversion table. 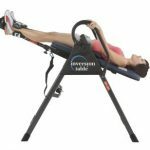 If you are safe to use an inversion table, here is how you can start to feel all these good health benefits from inversion. Use it daily. Watch the linked videos for how to do it. 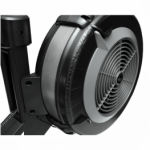 Studies show that an inversion of 60% is best for pain relief and zero gravity is best for total decompression. If you have any more questions or comments, don’t hesitate to leave them below.